Medicare’s Annual Enrollment Period is almost here — the time (Oct. 15 to Dec. 7) when people can make changes to their Medicare coverage for the year ahead. Thankfully, there are tools and resources to help you navigate the process and select a plan to meet your needs. National Medicare Education Week begins Sept. 15 with one goal: to help empower people to make informed choices about their Medicare coverage. Local education events are planned across the country and online to help you prepare for the fall Annual Enrollment Period. You can check out a list of events in your area at www.nmew.com. 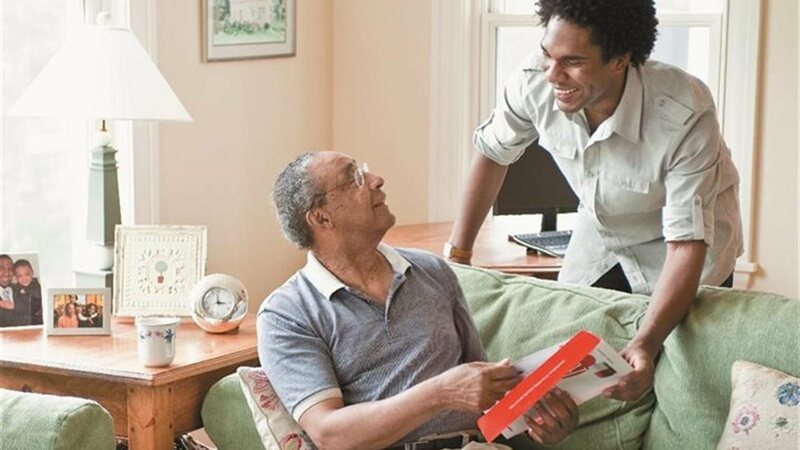 Here’s a roundup of frequently asked questions about Medicare you might expect to hear at a National Medicare Education Week event and online resources that can help you get started in your own decision-making process. 1. How do I know which Medicare coverage is right for me? Each person needs to make coverage decisions based on his or her health care needs and budget. To do that, you need to understand your options. Original Medicare (Parts A and B) is provided by the federal government and includes hospital and medical coverage. But it doesn’t cover everything. You may have out-of-pocket costs like deductibles, copays and coinsurance. Coinsurance for most Part B services, for example, is 20 percent of the cost. In addition, Original Medicare does not cover prescription drugs. If you want additional coverage, there are two ways to get it. * Add Medicare supplement insurance and/or a standalone Medicare prescription drug plan (Part D) to Original Medicare. * Choose a Medicare Advantage plan (Part C), which combines Part A (hospital insurance) and Part B (medical insurance) in one plan. Most plans include prescription drug coverage (Part D), and many offer coverage for things like routine dental and eye care. Medicare Advantage plans also put a cap on your out-of-pocket costs for the year. There’s no cap with Original Medicare. 2. Does Original Medicare cover dental, vision and hearing care? Original Medicare (Parts A & B) does not cover routine dental, vision or hearing care. Some costs may be covered if you have an eye injury or a certain medical condition, such as diabetes or cataracts. Some Medicare Advantage plans cover dental and vision care, including routine eye exams, eye glasses or contacts. Medicare Part B covers diagnostic hearing and balance exams if your doctor thinks you may need medical treatment, but neither Part B nor Part A covers routine hearing tests or hearing aids. Some Medicare Advantage plans offer this coverage. 3. How can I get coverage for my medications, since Original Medicare doesn’t provide it? You have two options for prescription drug coverage: You can add a standalone Part D plan to Original Medicare, or you can join a Medicare Advantage plan that includes drug coverage. Look for plans that cover the drugs you take. Each plan has a formulary that lists which drugs are covered and what the cost is. Most formularies are tiered, dividing drugs into levels of cost. Typically, low-tier drugs will cost less than high-tier drugs. 4. Why are the costs for my prescription drugs going up? Can I switch plans? Part D prescription drug plans may change copays, premiums, deductibles and other costs from year to year. They may also add or delete specific drugs from their formularies. If your drug costs are going up, you are free to shop for a different plan during Medicare Annual Enrollment Period. You can look for plans using the Plan Finder at Medicare.gov. You have choices to make when it comes to Medicare. But you’re not alone. There are many tools and online resources to help you navigate the process and select a plan to fit your needs. For more information on any of the questions above, explore MedicareMadeClear.com or contact the Medicare helpline 24 hours a day, seven days a week at 1-800-MEDICARE (1-800-633-4227), TTY 1-877-486-2048.